As the internet has dismantled the traditional barriers to learning, there has never been a better time to be an entrepreneur – anyone can learn any skills they need for starting, running and growing a business. Being an entrepreneur means you have to wear a lot of hats, so you might need various skills along the way. Luckily, today we live in the world where everyone has access to learning online whatever they set their minds to. 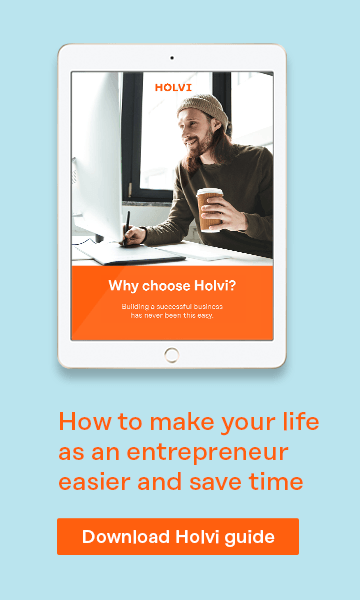 We’ve picked some of the best educational resources available online (which are also our personal favourites at Holvi) that can help any entrepreneur develop a wide range of skills from marketing to web design to business model generation. 1. Skillshare is a learning community for creators and home to over a thousand online classes from design to business and more. The learning platform allows you to learn very concrete skills from the best professionals who practice what they teach. For example, you can get introduced to the marketing essentials with the marketing guru Seth Godin or how-to’s of starting a fashion company with the famous designer Jeff Staple. The Skillshare courses consist of video lessons that you can watch at your own pace. The best part? You get to collaborate with the vibrant Skillshare community of nearly a million students on projects as part of the courses you take. Working on your own projects is when the real learning begins. With a 14-day free trial, it costs 10$/month to have an unlimited access to all available classes. 2. Coding could well be considered one of the essentials in the toolbox of a modern maker and doer. If you want to learn coding, make sure to check Codecademy, an online learning platform that will provide you with hands-on interactive classes to help you get off the ground with your first lines of code. You can learn web developer skills as well as core programming concepts and syntax for the world's most popular languages. The platform helps you understand where to apply certain techniques by giving real-world examples. Oh, and did we mention that the platform is free to use and very beginner friendly? 3. Coursera makes courses from top universities like Stanford and Harvard available online for free. The learning platform offers a wide range of courses, so you will definitely find something of interest to you. With short video lectures, interactive quizzes and projects, you’ll build practical skills that will match your passion. 4. MIT Entrepreneurship Courses are worth checking out at least for the reason that the companies founded by the graduates of this university employed about 3.3 million people and generated annual revenues of $2 trillion in 2009. These are actual courses taught at MIT and are open for free for viewing and reading. 5. How to start a startup is a highly informative series of video lectures, initially given at Stanford in autumn 2014. 6. Entrepreneurs know a thing or two about solving problems. Design Thinking Crash Course could be a great place to start your idea generation process if you are looking for the next problem to solve. Podcasts are a fantastic learning tool that is often underestimated. Just put in your earphones and go about your regular routine while learning a ton of valuable information about running your own business. 1. Stanford's Entrepreneurship Corner podcast and videos feature all-star entrepreneurs who tell about their entrepreneurial journeys, share insights, debunk common myths and give advice to aspiring entrepreneurs. Expect to hear the likes of the Twitter, Dropbox and Instagram founders whose powerful stories will certainly change the way you do things. 2. Monocle's The Entrepreneurs is highly recommended for those who have chosen entrepreneurship as their lifestyle. The weekly tour of the most inspiring entrepreneurial stories will take you from Buenos Aires to London to Vienna. Get ready to recharge your creativity with a lot new bold ideas. 3. Foundation is a video podcast that profiles big name entrepreneurs and tells their in-depth personal stories. In this highly informative and inspirational podcast you’ll find a lot of tips and tricks to grow personally and professionally. 4. Founders Films is a video series with successful entrepreneurs who have a lot to share about the highs and lows of starting a company. 5. StartUp is the podcast made by Gimlet Media that uncovers the full stories of interesting startups one episode at the time. The first season of the podcast tells about Gimlet’s own creation, hosted by the company’s founder Alex Blumberg, in which he describes what happens when someone who knows nothing about businesses starts one. 1. GrowthHackers.com is the place to go if you are serious about growing your small business. Learn from the web’s best community of growth-focused marketers who have plenty of tips to share. 2. MOZ is the best way to begin your search engine optimisation education if you want to drive more visits to your website. 3. 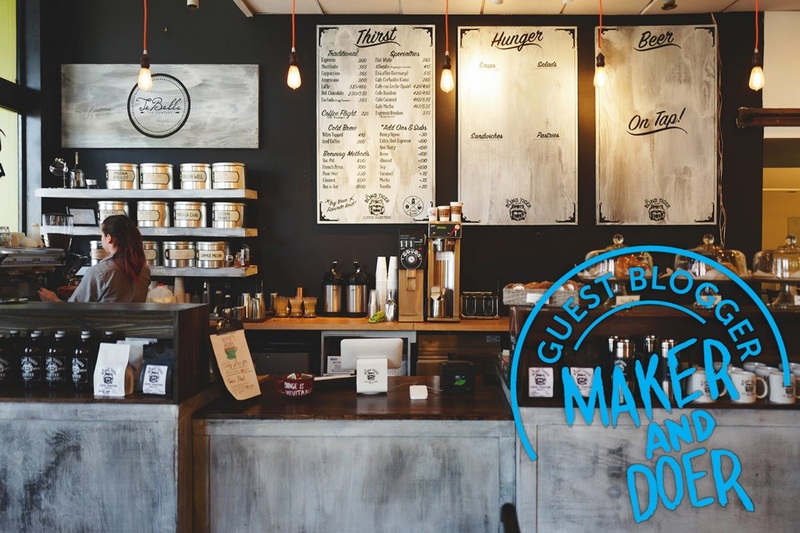 This is a must-check list of very useful tools, blogs and resources for entrepreneurs compiled by the guru of entrepreneurial education Steve Blank. And here is his free online course on how to build a startup. 4. Y Combinator Startup Library is full of gems to help you get to the next level of running your own business. 5. Quora.com is the best place to get your questions answered by fellow entrepreneurs who’ve “been there, done that” and sometimes even by some of the world’s most renown founders.